For a long time, The Tomb of the Cybermen was missing until it was found in 1992 at a TV station in Hong Kong. And for as long as it was missing, Tomb was considered one of the greatest Doctor Who stories of all but all the fans based this decision on their memories. Now that the story can be enjoyed in its full however, the problems in the storytelling are ever so apparent. There are huge gaps in story logic and some unfortunate racial stereotyping. But it does have it's great moments as well. Amongst one of the good bits is Patrick Troughton's performance which, by this time, had meant he had firmly become the Doctor. Clearly he did something right as it was the Second Doctor who Matt Smith based a lot of his Doctor's mannerisms on. Troughton is always watchable even when his stories don't always hold up. Ten years younger than his predecessor William Hartnell and because of this we have a Doctor who can run around and help speed the action along, something I think the show needed towards the end of what would become Hartnell's final series. Troughton's Doctor is also slyer than the First Doctor, the Second Doctor can trick his enemies into underestimating him so he can win. He is also a reluctant traveller anymore. Where the First Doctor was a person exiled from his home, the Second Doctor finds his home on the road. The biggest and most obvious change that happens in the Second Doctor era is his willingness to play the fool which adds a comedic touch without completely ruining the tension that audiences needed to keep them invested in the story unfolding before their eyes. 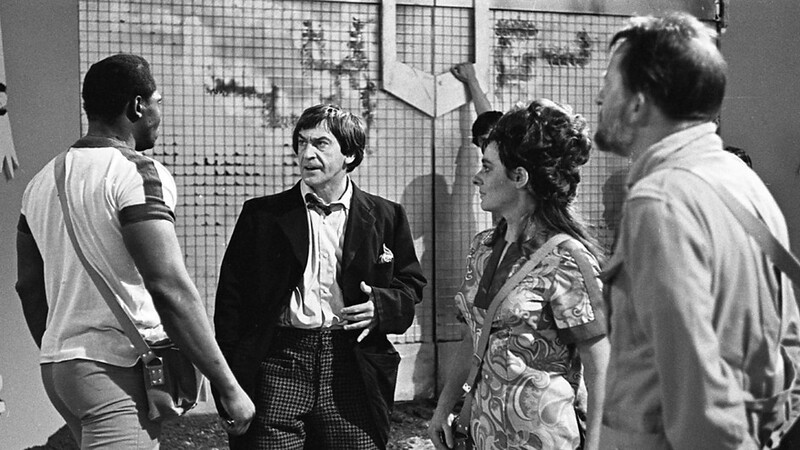 Troughton also had a great comedic partner in the form of Frazer Hines who played companion Jamie. 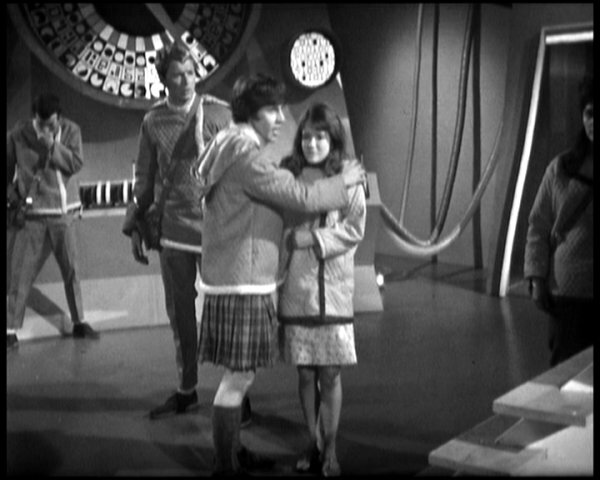 Jamie was the Second Doctor's companion throughout that entire era bar one story, The Power of the Daleks. Essentially, Jamie became Robin to the Doctor's Batman. Many, alright most, of the Second Doctor stories were base under siege senarios where the Doctor and companions would arrive at a secluded base with limited resources just before an alien menace would try and attack. Tomb is a variation on that plot device with the base being the villains lair and the humans are the intruders though, as the story goes on it becomes a good old monster emerges and monster is destroyed story. Ultimately the moral of this story is to not go waking up robots who are in cryogenic suspension and not to a be an arrogant super-nerd. Things that are life lessons! As much as I might slag this story off, I do enjoy Tomb of the Cybermen, it's just that, the more you look at it, the more it starts to fall apart. Their is no deigning that it is really creepy. One of the reasons it may have aged badly is that one can draw comparisons to old 30's horror films, in particular The Mummy. That isn't too bad an analogy because the Cybermen are essential robotic zombies or vampires who are intent on converting every being in the universe to their own kind. The Borg from Star Trek are much along the same lines though, and as much as I like Star Trek, the Borg are such a copy of the Cybermen. Another problem that newcomers will have to this story is that needs the audience to have some knowledge of their previous stories, The Tenth Planet and The Moonbase. They were aliens only created to rival the Daleks in popularity and had picked up considerable attention from fans because they debuted in Hartnell's final story and essentially the get the credit for taking him out. Here though there is no sense that the Cybermen are an actual danger, sure they make some big threats but they only convert one human and the only effects it has on his body is that he starts taking orders from the bad guys. Yet another problem with taking from The Mummy is that we get some cringe worthy racial stock characters straight from the colonialist era. Although the Cybermen's tombs are full of Cyber-hieroglyphics and deadly traps that rival those in Pharaohs tombs to deter grave robbers, the Cybermen are a little disappointing when they emerge from their hibernation and they seem really generic. But, despite that, Tomb gets off to a really good start in the first two episodes. We start the first episode with the proper introduction of new companion Victoria in the TARDIS. Victoria was from Victorian England but was swept up in the events that were depicted in the previous story, The Evil of the Daleks, after witnessing her father's death on the planet Vulcan, she joined The Doctor and Jamie on their travels although she is pretty reluctant when it comes to meeting the aliens, usually because they end up trying to kill her. But Victoria, although brilliantly played by Deborah Watling and one of my favourite companions, is another slight problem with the story. For one, why does she go from a respectable, dress wearing Victorian young woman to someone who is pratting about on the planet Telos in a very mini-skirt? And why is her character side-lined by the male characters in this? It doesn't really give her a good first proper appearance in the show. The whole of episode 1 and most of episode 2 are just build up but we get a real sense that the Cybermen base is a really dangerous place that is full of deadly traps. It also demonstrates that curiosity can sometimes be deadly and that temptation is always impossible to resist. One also has to wonder how much that goes wrong for the characters is down to the Doctor's appearance. 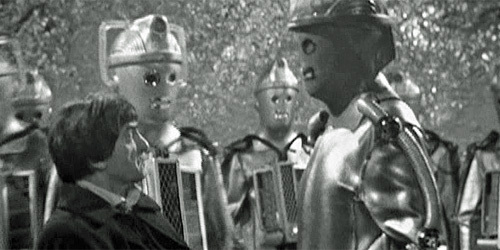 Sure, the group of archaeologists would have been killed but the Cybermen would have never been awakened and wouldn't have pose a threat in the first place. It is the Doctor who gets them past the electrified doors and solves the mathematical puzzles that get them about in the tombs. Could it be that he is once again manipulating events so he could be one step ahead of everyone else, or did really know that he is just to curious for his own good? Once the Cybermen are finally awakened the baddies, the plans of both the Cybermen and traitors in the human crew are revealed. But for plans that are build on cold logic both seem needlessly convoluted and based on some rather dubious premises. The leader of the traitors in the team Klieg reasonably enough believes he and the Cybermen would be good partners but he also thinks he could control the Cybermen. The Cybermen meanwhile have built the tombs to attract over clever people and make them Cybermen therefore helping the Cyber-race to evolve. But if they only want clever people then why do they convert Toberman? Why not turn Klieg into one of their drones rather than killing him? And why oh why, would they build tombs that could only be opened from the outside by smart humans and then hope they are dumb enough to awaken the Cybermen, sworn enemies of the human race? Do you see what I mean, if you look at this story too closely it just starts to fall apart! I think the plot would have been somewhat more interesting had the Cyber-Controller and Klieg worked together with Klieg unwitting converting himself into a Cybermen and by the time he realises what is going on just coolly excepting what has happened to him. But everything just peter's out from here. 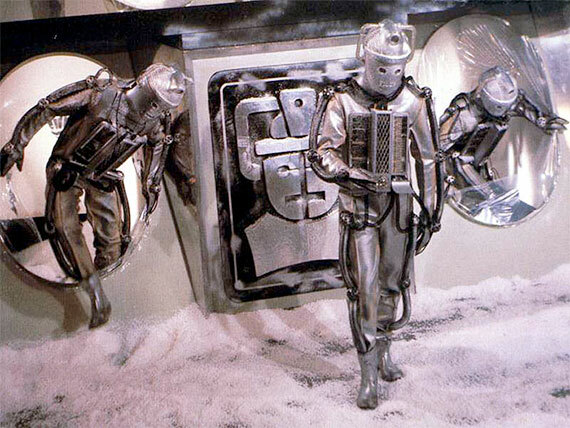 The Cybermen release the Cybermats, a creation impossible to take seriously when they reappeared in 2011. They are supposed to be cockroach in design and I would gladly see them back if they could be slightly redesigned in the new series. But here they are about as threatening as The Wombles. Episode 4 chooses to begin on a self negating note which the Cybermen deciding to return to their tombs to reserve power in an anticlimactic decision. Only the Cyber-Controller and Toberman remain. Though Toberman turns against his robotic condition why his friend Kaftan is killed and seals the Cybermen in their tombs permanently by resealing the electric doors and thus killing himself too. But to commerate their brave team-mate, the crew leave his body where it is instead of taking him with them to their spaceships. And then, just you missed it, the credits roll over his dead body. I'm serious. 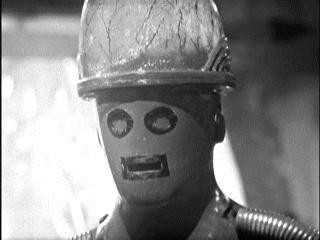 Tomb of the Cybermen, for all it's faults is largely engaging if one can look past the plot hole ridden script. There are some great performances here especially from the regulars, Patrick Troughton, Frazer Hines and Deborah Watling even though her character is largely side-lined for the entire story. While I don't consider it a real classic in the same vain as much of the early Tom Baker years, Tomb deserves to be watched as it is undeniably one of the best Patrick Troughton stories.